Well, I was trying to get by this year without artificially feeding the bees; that is, mixing up some one-to-one sugar syrup and feeding each hive to help them get through the dearth, as I did last year. So, I mixed up some syrup (1 lb (pint) water; 1 lb sugar) by boiling the water, then mixing in the sugar. I use hivetop feeders, which I pour the sugar into. The downside is that this attracts ants. I set the legs of my hives stands into tin pans, and pour either motor oil or vegetable oil into the pans to prevent the ants from overwhelming the hive. So, I fed them once on Oct. 30, and again on Nov 6. 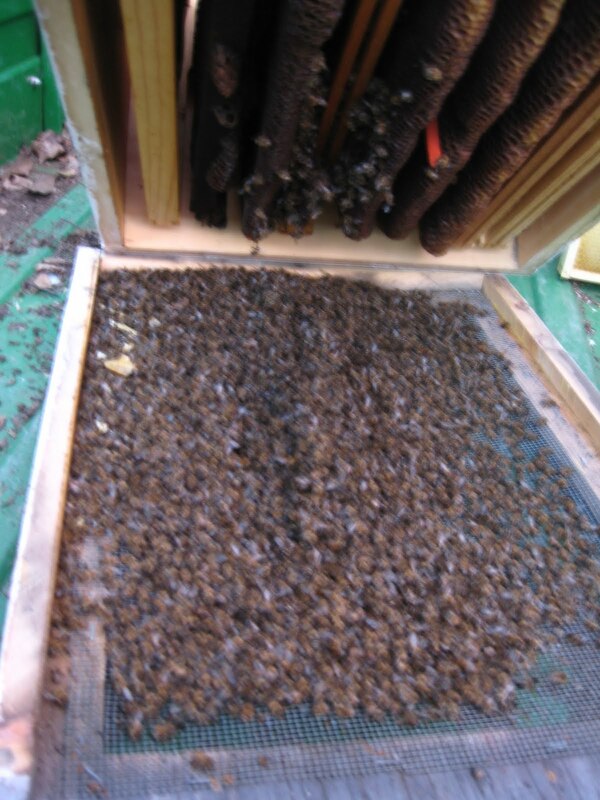 Every hive had thoroughly cleaned out the sugar-water, so they're hungry all right. Good news is that some trees are blooming right now, including some California Pepper and at least one species of eucalyptus. Meanwhile, I should note that the hives at the Community Garden are loaded with honey and bringing in pollen, no need to feed them at all. I'm not going to remove any honey from them until after the winter, so they'll have plenty to live on.